A larvicide containing the insect growth regulator (IGR) cyromazine. Ideal for use in a wide variety of production units, it prevents larvae from developing into flies, giving longer lasting fly control and greater impact on total fly populations. 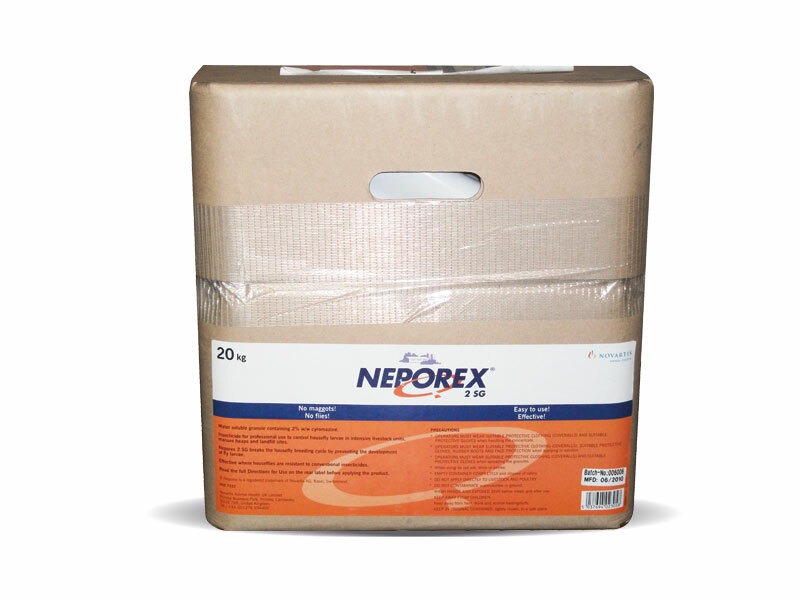 Neporex kills the 80% of flies present in manure as larvae and can be used in dairy, calf, poultry and pig units.